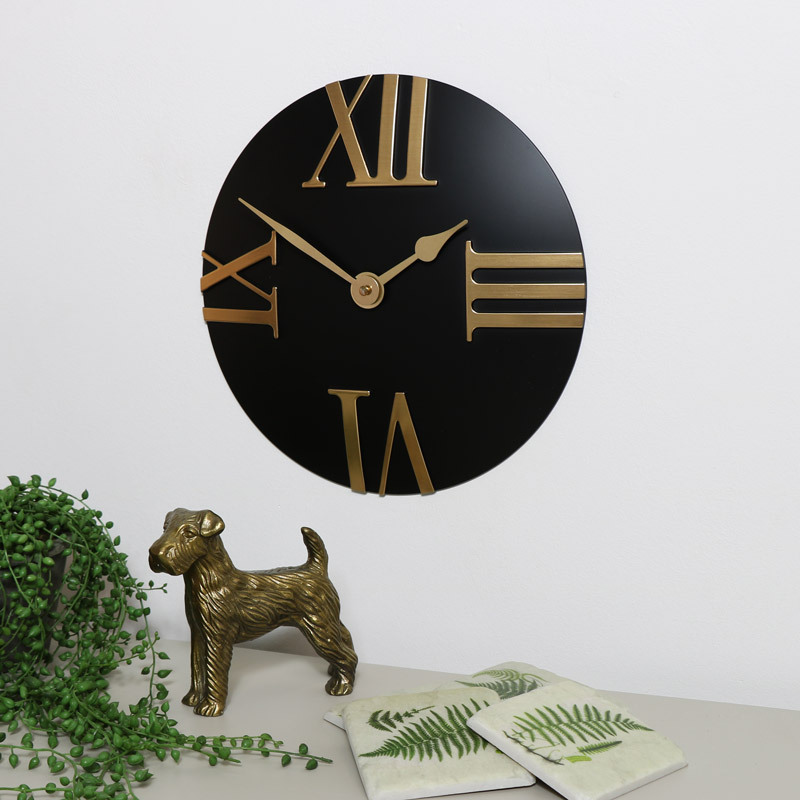 Whether your home is inspired by the retro or contemporary look, this Black Wall Clock with Roman Numerals will fit in perfectly! 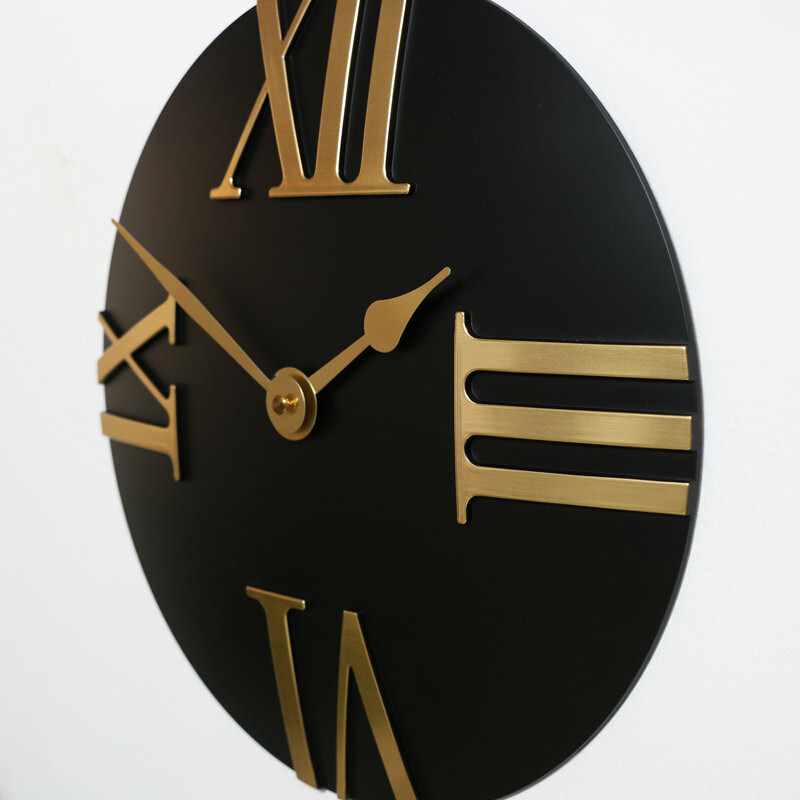 With large gold Roman numerals and hands against a round black clock face, this clock will really stand out and look fantastic hung in the hallway, kitchen or living room. With its minimal frameless style, it still makes for a statement against any wall. This is the ideal clock for making a bold statement in any interior and will really catch your visitors eyes!